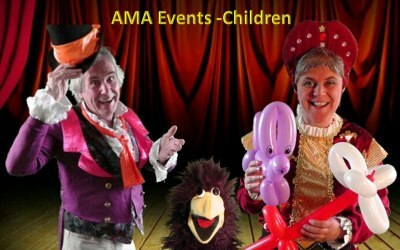 AMA Events Children - "It's Party Time..."
AMA Events - Children is a subsidiary of AMA Theatre. 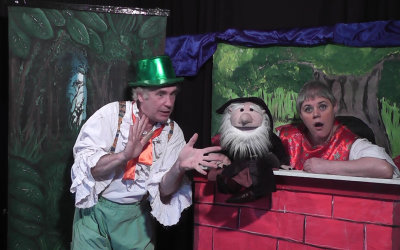 Our main characters are Dromeo & Tilly and not forgetting Cecil the naughty blackbird. Providing Children's Party Entertainment With "Dromeo & Tilly"
We have over 20 years experience providing memorable and exciting entertainment for children. 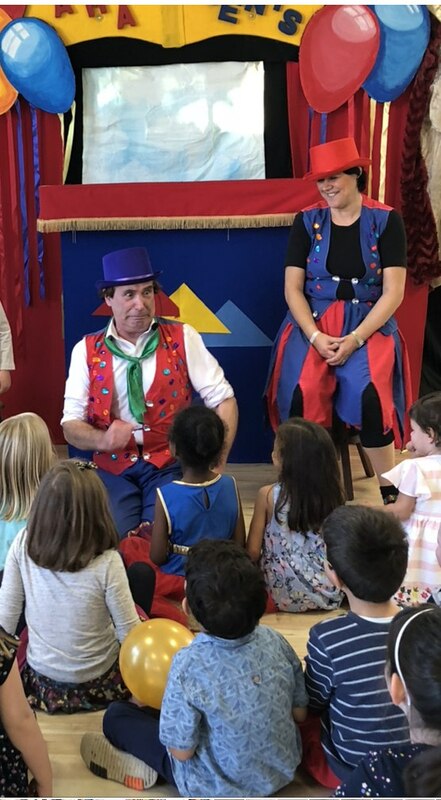 We actively involve all the children throughout the party with games, party dances and our funny and engaging shows with magic and puppets, music and of course, audience participation. 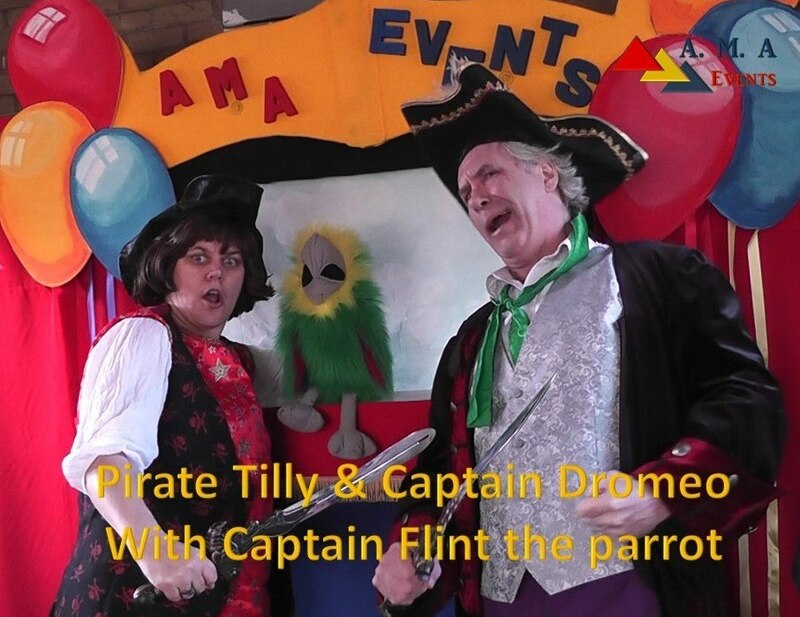 With Dromeo & Tilly we provide all sorts of entertainment for children of all ages. Our party packages can include most Themes such as Pirates, Clowns, Frozen, Peppa Pig, Spiderman, Mad Scientist, etc. 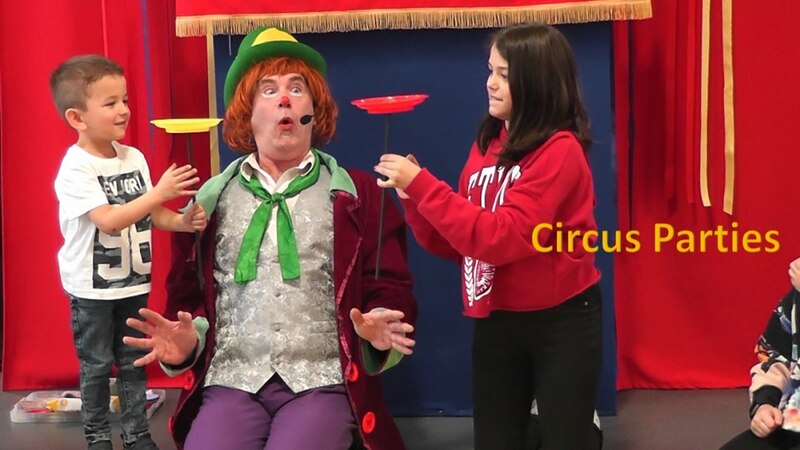 Each event is geared for the children involved according to age and their particular interests. The one thing that makes us unique is our "full on" approach and the way we involve everyone at the party, including the adults! If you just want someone to amuse the children in a corner whilst the adults have their own get together, then we are not for you. On the other hand, if you really want to give your children the best party ever, then we do just that. Don't take our word for it, just check out our great testimonials! We look forward to meeting you soon. 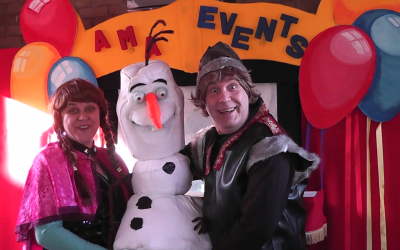 Whether you are holding a small party in your home or organising a large event at a commercial venue we always ensure we create the right atmosphere and engage the children to give them an experience they will never forget. We also understand budgets can be tight and that is why we will always try to create the best possible party within your budget. We’ve had a fantastic, completely worry free service from start to finish. 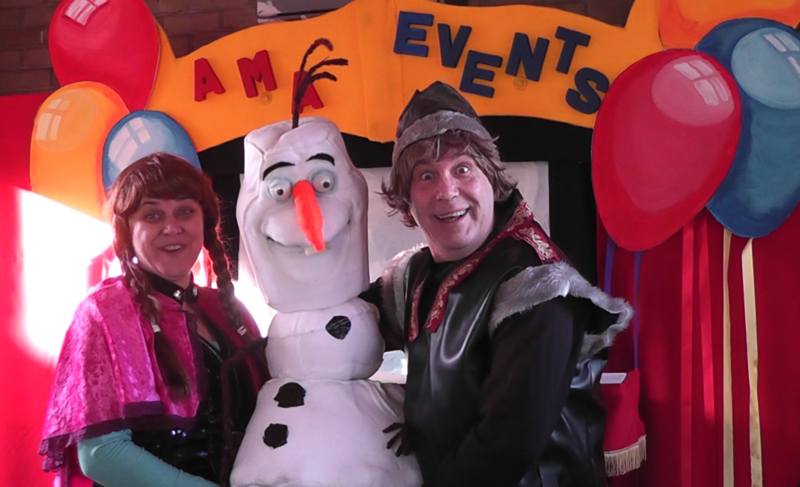 The duo arrived early to set up and made the party a seamless experience for all of the little guests. It was a big crowd to keep going and they had everyone dancing and laughing for the entire duration. Absolute experts and what they do. We were very pleased! 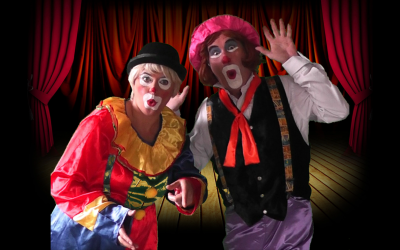 Everyone raved about how good they were at my daughter's 5th Birthday party. All the kids had so much fun. And the birthday girl couldn't stop talking about them. Thank you for a great service. It was our daughter's 3rd birthday party. After contacting many entertainers I had finalised AMA events. They just rocked the show. All the kids enjoyed a lot, starting from 2 years to 9 years old. 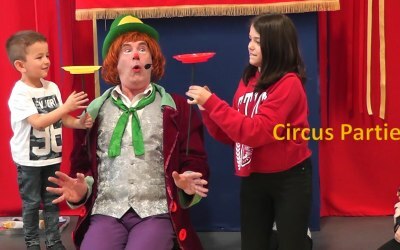 Dromio and Tilly made each kid feel involved and a part of the fun. The fun was also so varied. 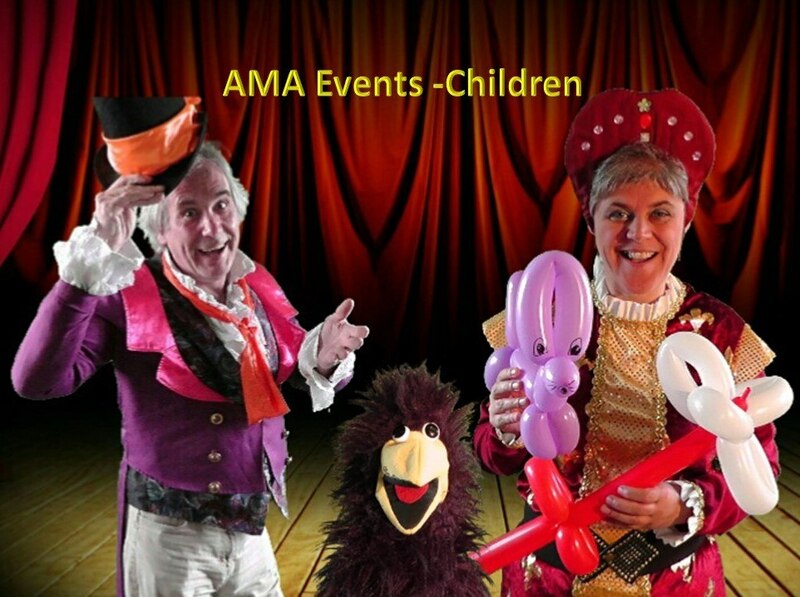 A big thank you to AMA events for making our daughter's party memorable and a fun evening. 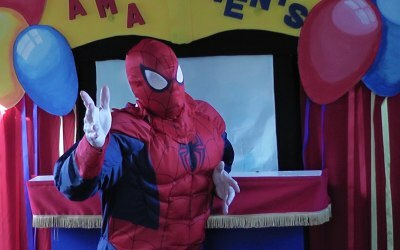 AMA Events provided the entertainment for my son’s 4th Birthday Party. The age range that attended was 9 - 2years and they were great at including everyone. They had all the children laughing. There were a few shy children, but after a few minutes, the entertainment team had everyone joining in. 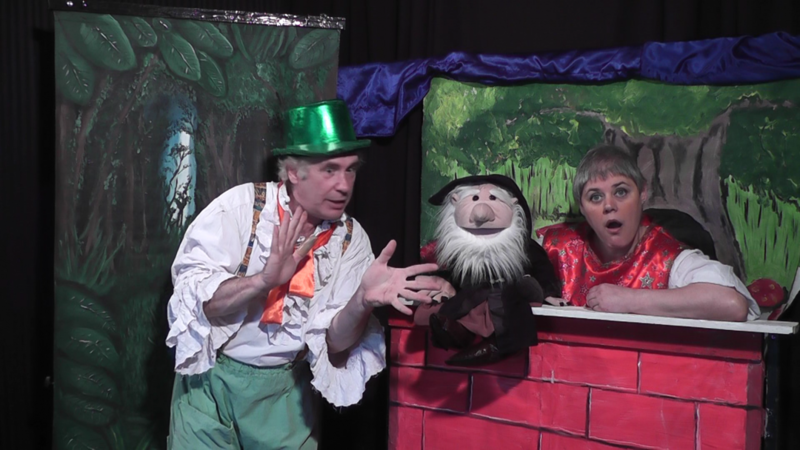 The kids were transfixed by the animations (puppet show was a real hit) as were the adults. Very energetic animations. Will definitely use again their services. Hi Anna, Thank you for the great review. We are pleased everyone had a great time. Thank you once again. Dromeo & Tilly! 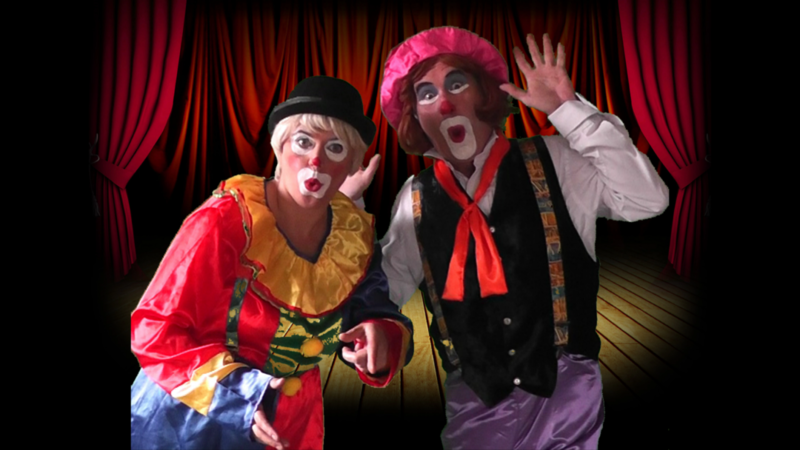 Balloon models made for every child, party games, dancing, puppet show and piñata. Entertained 34 children from ages 1-9 for 2 hours. On time. Stayed over paid time. Polite, courteous, professional. Hi Catherine, Thank you so much for your lovely review. We are really pleased everyone had a great time. It really is magical when all the children and parents come together to create a great atmosphere. We are only as good as our audience. Kind regards Dromeo and Tilly! 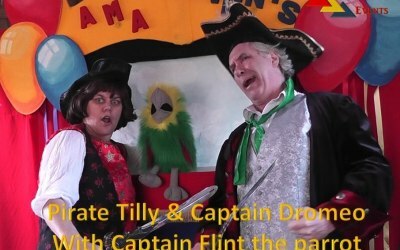 Fantastic show- thanks Tilly and Dromeo. 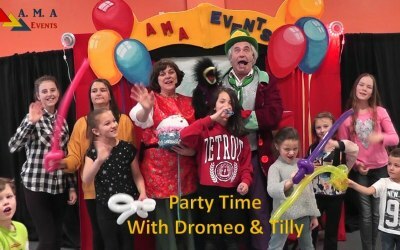 Tilly and Dromeo - what a great show.My son Jovan had a lovely party.Will hire them in future again. Get quotes from AMA Events and others within hours.